Dahntay: My original goal in life was to become an obstetrician however, both the basketball and medical programs were very time-intensive and unfortunately, I had to make a decision between the two. After leaving my pursuits for medical school behind, I found something else that piqued my interest which I ultimately ended up pursuing my education in – business and public policy. Basketball was my first passion but as I got older, I developed a passion for business, more specifically, I wanted to pursue a business venture with the purpose of making a difference in people’s lives. This is what led me to my new position as Vice President and Managing Partner of Pearl Homes, an award-winning LEED-certified homebuilder, dedicated to creating sustainable housing at a price that more people can afford. Adam: How did you get here? What inspired your post-playing career and how have your basketball days prepared you for your current endeavor? 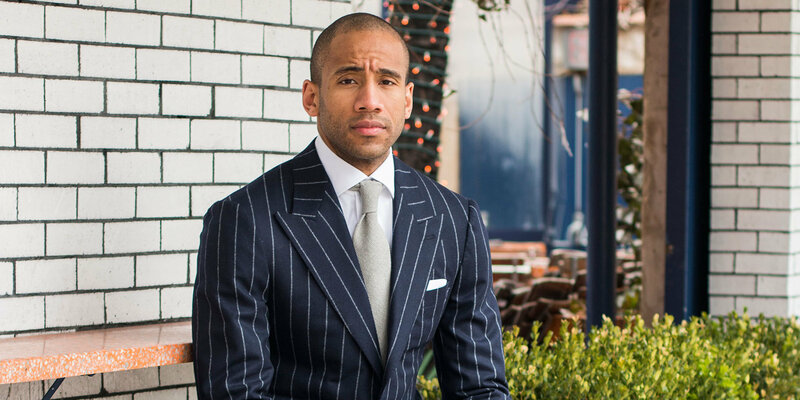 Dahntay: As my career in the NBA wound down, I thought about my next career move and how I could merge my desire to help people with my passion for business and technology. After I retired in 2016, I attended the NBA Crossover Program at Harvard Business School which helped me pivot my career back into business and focus on what my next move would be. This led me to join developer of sustainable smart home communities, Pearl Homes. In this new chapter of my career with Pearl Homes, I am leading the integration of smart home technologies for an efficient, affordable and sustainable living experience. During my basketball days, I played on eight different teams, which allowed me to live in quite a few different communities. I immersed myself in each community, volunteering for organizations including, Make-A-Wish Foundation, Boys & Girls Club, and Habitat for Humanity, and others. I’ve always wanted to make a difference and maintained a strong desire to continue this active community involvement after my NBA days. Through Pearl Homes, I aim to positively impact and support as many communities as I can across the US and the world. Creating smart home communities that are capable of running entirely on renewable solar energy not only creates a more sustainable lifestyle, it also supports the surrounding communities through generation of additional energy that can be shared back to the grid. Dahntay: I believe the defining qualities of a superstar athlete are the ability to persevere, the ability to push through any obstacle and having true dedication and passion along the way. Dahntay: To name a few, Magic Johnson and Grant Hill have inspired me and taught me lessons that can be applied on and off the court. I’ve learned that perseverance is key and so is the ability to push through to get better during your career and in life. Both of them have exemplified how important it is to be professional in basketball and in the business world. Adam: Who are the greatest leaders you have played with and what do you believe are the defining qualities of a great leader? Dahntay: Chauncey Billups and LeBron James are two of the greatest leaders that I’ve played with. They’re both strong leaders both in the way they approach the game and in how they handle themselves on and off the court. They are such strong leaders because they lead by example, inspiring others to grow and care about making the team great as a whole. In addition to how they perform on the court, I respect how they handle themselves in the media. Adam: What are the characteristics of a great teammate? Dahntay: A strong teammate is someone who is going to sacrifice himself or herself and do whatever it takes for the team to be better as a unit. It’s important not to take things personally and persist, despite the current obstacles. I believe that a powerful team is one where everyone understands their roles and knows how to be consistent as a whole. A humble team understands that it’s going to be a journey and is still prepared to work hard and sacrifice whatever it takes to be great as a unit. Being a great teammate isn’t just something that you can be on the court, it’s something that you can also do off the court in your job, your home and more. Dahntay: Throughout my career in basketball, I’ve learned never to give up and to keep fighting. Whether it’s being away from home, putting your body through a lot, or occasional self-doubt, something good is always on the other side. Perseverance is important both on and off the court, in and out of the office, and both in and outside the classroom. How you spend the next chapter of your life might surprise you, but you should know how important it is to never give up on your goals moving forward. Dahntay: It’s surprising how much time you actually spend away from home. It was very challenging being away from my wife and five children. Whether it’s on the plane, traveling, and in between hotels, a lot of time is spent away from home and in different, unfamiliar cities. Dahntay: Throughout my career, I’ve learned a handful of lessons that I’ve taken with me now as an entrepreneur. First, I’ve learned that any success leads to pushing boundaries. It’s important to go out of your comfort zone to learn as much as possible about yourself and what you want to do moving forward. If you’re pivoting your career and embarking on a new change, it’s important to know that positive results come from putting yourself out there. Although you may be hesitant to start something new and expand your comfort zone, it doesn’t hurt to try. Change doesn’t happen overnight, but progress does. Second, whether you’re building off of existing success or beginning a new venture, it’s important to put careful thought into each situation, analyze trends and do your research beforehand. Before jumping into Pearl Homes, I had seen a trajectory in smart homes and found that sustainable home building is proven to impact an individual’s overall quality of life. Many people want this lifestyle, but often times these homes are out of people’s financial reach. After doing background research, I realized this was something I was interested in pursuing. 15 years ago, I met Marshall Gobuty, President of Pearl Homes. I loved his ideas, we maintained our relationship, decided to collaborate on something we both feel passionate about and here we are now after putting a lot of time and research into sustainable homebuilding. Third, no matter what field you’re in, building relationships will help you gain success. Connecting and maintaining relationships with people in your industry is certainly important and can help you reach your goals in that particular field. However, it’s also important to build relationships with people outside of your industry to learn more, since you never know what could spark your interest. For me, maintaining relationships both inside and outside the sports world has expanded my horizons and allowed me to build a career where I get do what I enjoy and feel passionate about. I am still involved in the sports industry, but I also now have the opportunity to work in the technology and sustainability sector, collaborating with new people and creating change. Dahntay: Basketball was one of my first passions and has opened many doors for me. Through eight teams, eight new cities and opportunities to be involved in each community, my desire for helping people and creating change has only increased. On top of basketball, I’ve always had a strong enjoyment and fascination for technology. Technology is becoming a staple in our everyday lives; it plays such a significant role in enhancing our lives and our homes. I’ve been watching my children grow up in a different time where technology is standard and soon, it’s going to be all that future generations know. Bringing technology into people’s lives for convenience, security and pure enjoyment is something I feel strongly about. With my desire for stimulating change, mixed with my passion and interest for technology, it was possible to blend the two for my next journey in sustainable smart homebuilding with Pearl Homes. My hobbies have shaped me over time, and I am humbled that I get to combine each for my next journey.